Which is more useful, a prescription or a proscription? In the case of hiring, I’m more interested in the latter. Identification of common errors helps candidates avoid mistakes without creating a legion of cookie-cutter candidates, all using the same approach for success. I’m pleased to present this description of research performed by Melissa Laning and Emily Stenberg, who analyzed 36 essays and came up with the following results. How can a job applicant stand out – in a good way – from other applicants? This question is highly relevant for the new MLS graduate applying for jobs since many entry-level positions receive 100+ applications. On the basis of research we conducted in 2011/2012 and our combined experiences with the recruitment process, we have identified the top 3 behaviors to avoid when you are on the job market. Our research involved a content analysis of 36 essays that appeared in The Chronicle of Higher Education between 2007-2011. The essays were all first person narratives that described a personal experience as either a job candidate or as a search committee member in an academic job search. The essays were not specific to libraries but the processes described would be familiar to any academic librarian. The perceptions shared in the essays were then compared to library literature on recruitment and to our own direct observations about library hiring practices. One area of focus was the job candidate during the application and interview process. What we learned from our research is that at each critical stage of the process, there seems to be a common set of behaviors that separates the applicants who are screened out from the ones who progress to the next phase of the search. For most entry-level positions, libraries receive an abundance of applications, and the majority of them are from individuals who meet the minimum qualifications for the job. Search committees have to make tough decisions and a generic cover letter that could have been sent to any opening makes an application easy for them to disqualify at an early stage in the process. The rock-solid experience reflected in your CV/resume is not enough to distinguish you since others will have equally strong or relevant experience. You have to convince the committee with a good cover letter to consider you further. What are the elements of an effective cover letter? It must be addressed to the person named in the job announcement and be customized to the particular position. You can accomplish this by telling the employer what interests you in their position, and by matching your skills and experience to the required and preferred qualifications of the job. It is especially important to address the required qualifications since the hiring institution has no wiggle room in that area. Either you meet the minimum qualifications or you don’t. Particularly for soft skills, such as “Ability to work collaboratively”, you need to address the qualifications directly in order for the screening committee to know that you are in the meets category. Additional tips about the application phase based on our research and observations are to follow the application instructions to the letter and keep your CV/resume current. These actions also convey to the search committee that you are a qualified and interested applicant. Many institutions will conduct preliminary phone or Skype interviews with candidates to determine who they will invite for on-site interviews. A common mistake for candidates at this phase is to attempt to wing it. Strong candidates prepare for these experiences as intentionally as they would for an in-person interview. One valuable step the candidate can take is to thoroughly explore the hiring library’s website before the interview. Is there a strategic plan posted and what does it say about the organization’s aspirations? What big projects are underway? What positions do search committee members hold? Knowing this information will serve you well during the interview. Another valuable way to prepare is to develop responses to anticipated questions. If you haven’t already been on a number of interviews, you can find quite a few good lists of standard interview questions on the web. Along the same lines, develop a list of specific examples from your experience that match the job requirements. Another very important step you can take is to create a list of questions to ask the committee at the end of the interview. The questions should be designed to give you insight into the culture of the organization and how things work in that environment. It also signals that you are genuinely interested in working there. If you are invited for an in-person interview, it means the hiring institution believes you are highly qualified for the position. The interview itself allows them to identify the person who is going to be the best fit for the job and a good representative of the organization with users, administrators and other external audiences. With that in mind, interviews are to some extent about personal brand management. One specific recommendation is to dress professionally for the interview. This advice also applies to the preliminary screening interview if Skype or any type of video conferencing capabilities are used. For video conferencing, think also about the background—what will the interviewers see behind you and will it be distracting? Regardless of how informal the organization is on a day-to-day basis or if you are an internal applicant, interviews are a formal event and should be treated accordingly. The Hiring Librarians blog provides great advice on this topic. Along the same lines, professional manners are also a critical aspect of making a good impression. This covers being friendly and gracious throughout the interview process, and in any communication after the interview. If you continue to believe the job is a good fit for you after when the interview is over, send a note or email to the Search Committee Chair expressing your continuing interest in the position and appreciation for their interest in you. If you do not remain interested or accept another position, let the Chair know as soon as possible. A final recommendation in this area is to take steps to limit access to your personal online presence to friends. People will search for you. Enough said. The areas covered in this brief overview were identified in our research and reading as the most frequent things that candidates do to undermine their own success in the job search. We have provided some specific ideas about what interviewees can do to avoid these behaviors, but would love to have readers provide further suggestions for what not to do during the interview. Melissa Laning is Associate Dean for Assessment, Personnel and Research at the University of Louisville Libraries and spends a good deal of her time on hiring librarians. She is a past co-chair of the ACRL Personnel Administrators and Staff Development Officers Discussion Group, and Chair of the LLAMA Human Resources Section. Her recent research projects have focused on academic library recruitment and middle managers. Melissa received her MLS from the University of Michigan. 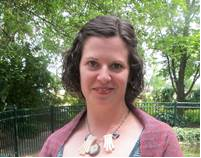 Emily Stenberg is the digital publishing and digital preservation librarian at Washington University in St. Louis. Previously, she was the metadata librarian at the University of Louisville. Emily received her MLS from Indiana University and an MFA in Creative Writing from the University of North Carolina at Greensboro.